As the partial shutdown of the federal government crosses the month mark, Alaska’s U.S. Sen. Lisa Murkowski has grown increasingly frustrated with her Republican colleague’s capitulation to President Donald Trump’s demands for a border wall. With a sizeable portion of Alaska’s employment, Alaska Native programs, energy projects and parts of the fishing industry reliant on the federal government, Alaska’s senior senator had her harshest words yet today. 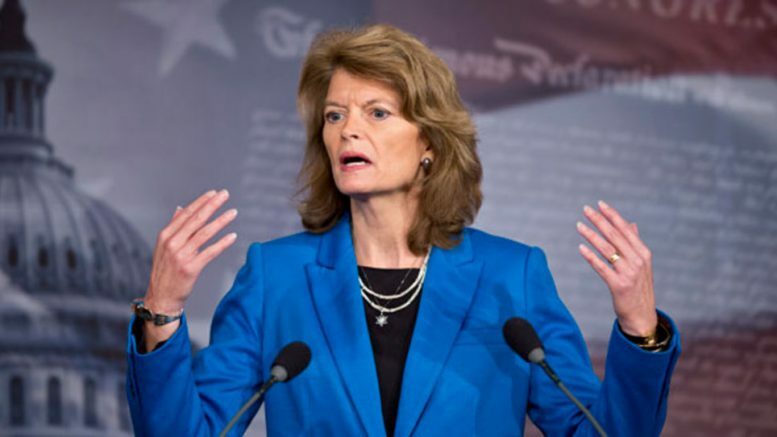 In comments published by the Washington Post, Murkowski was directly critical of Senate Republicans’ refusal to bring legislation to end the shutdown up for a vote. The Senate has already passed such legislation by a veto-proof majority but have been unwilling to bring it back up once the shutdown over the wall began. Murkowski has made headlines throughout the first two years of the Trump presidency, refusing to sign off on Republican plans to repeal the Affordable Care Act or to vote for the confirmation of Supreme Court Justice Brett Kavanaugh. Trump has refused to approve any deal to reopen the government that doesn’t include some funding for the wall. This weekend, he offered Democrats temporary protection for some illegal immigrants in return for the wall, which was almost immediately rejected. As Trump and Democrats appear unwilling to reach a compromise that includes billions of dollars for a wall, Congress could settle the situation with a veto-proof vote to reopen the government (as has been suggested by Alaska Rep. Don Young). It’s seemingly a plan supported by Murkowski. But Senate Republicans have been unwilling to exert their constitutional power and have, instead, decided to defer almost completely to the president with a long list of Republican Senators quoted as unwilling to consider anything that the president hasn’t promised to sign. “I’m ready to vote for anything that the president agrees to sign,” Sen. John Barrasso (Wyo. ), the third-ranking Senate Republican, is quoted in the Washington Post article. 1 Comment on "Murkowski: Most Senate Republicans afraid to cross Trump on shutdown"